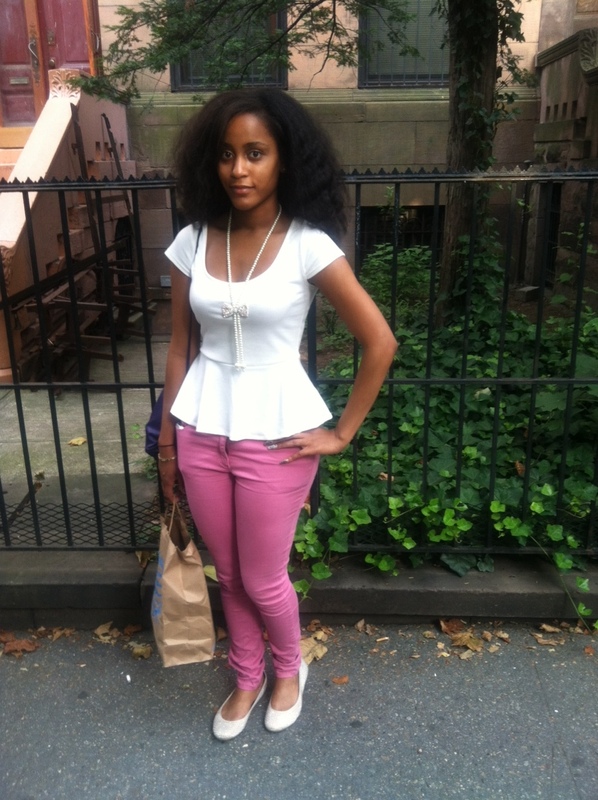 Here’s my new fav peplum shirt from forever 21. Paired with some pretty pink jeans from H&M. Adorned with a pink pearl and bowtie jeweled necklace.